Google Calendar has been a handy tool for a large number of people for quite some time now. If you haven’t used it yourself, you probably received an invite from someone else for example. Whatever the case may be, Google Calendar is both used by people in their everyday lives as well as for business purposes. All Google products are fundamentally simple to use, but they also include a plethora of features most people don’t know about. These have the potential to help you in your business. That’s especially true for Google Calendar – the most straightforward looking Google app that hides a lot of additional features. What’s more, you can easily integrate other products with Google Calendar, which is one of the features that truly make conducting business more manageable. This seamless integration is perfect when you use quality appointment booking software in your business model. No matter the type of small business you own, if you need to create appointments all the time, using software that easily connects with Google Calendar can be a life changer. Google Calendar is great for creating reminders, but it is also great for organizing events for all your appointments and meetings. 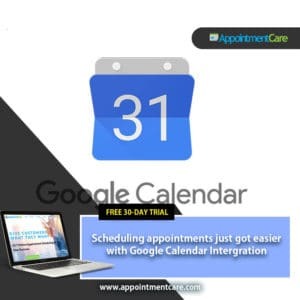 The good thing here is that you can also book appointments in other more robust tools and then effectively and automatically sync all of those appointments from that software into your Google Calendar. Like we already mentioned, Google already allows for this and if you have already found a good appointment booking software, the integration will be smooth and continuously functional. Once your appointments export to Google Calendar, you can further customize them to appear the way you want them to. You can change things like the color code for different types of appointments, add reminders to them, and much more. All of that is completed within an event or reminder in the app. What many people don’t know is that Google Calendar allows for changing the priority of your different calendars. 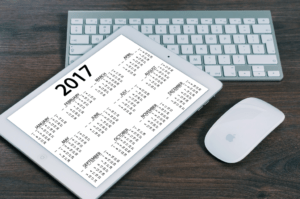 Many people keep different calendars – one for business purposes, one for personal use. Sometimes even several ones if you have various businesses. The app allows you to hide the calendars you don’t want to see at the moment, so only the important ones remain shown. When you’re a heavy user of Google Calendar and have many things in it, the month view, for example, can get you overwhelmed. That’s why the app has the Agenda mode that only shows a rundown of what you have for today. Another important Google Calendar feature is the one that enables you to share your schedule with others, which is perfect for businesses. You can even ask for permission to view a colleague’s calendar with one button. Full integration with Gmail is also available. Creating recurring tasks, events, meetings, etc. There are many other features that Google Calendar offers that it’s hard to list them all in one article. If you want, we can further help you with this app and explain how to use it more efficiently. We can also offer you our appointment booking software that fully integrates with Google Calendar.